The new NHL game pucks for the 2018/19 season are now available. This season pucks will have a few anniversary celebrations and some teams going back to their original logos too. 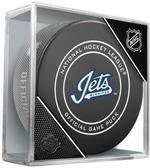 They will be featured right here and be available in the Game Pucks section. 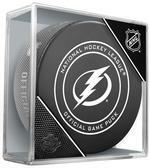 Just click on each puck to place an order. 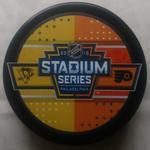 The most popular style puck we sell. If getting signatures is your thing, this is the puck to have. 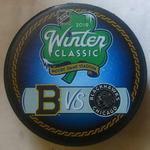 All teams available including logos from the recent past too. 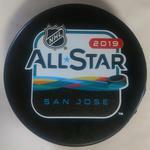 We have the All-Star commemorative pucks begining in 1991. The Stanley Cup Champ commemorative pucks start with 1992. We have commemorative pucks of the NHL Draft from 1979 to current. 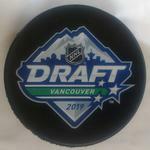 Get your player to sign a Draft puck from the year he was selected.